@kittykat9180 in the age of millenials, it is a Throw. A large heavy blanket fresh out of the dryer. PSA: remember when it’s warm inside to put your batteries outside the inside; that is to say inside the refrigerator. I almost adopted two little cats today. Not exactly a minor investment, but they did seem warm and snuggly. @UncleVinny Vinny, from where? Do you think you’ll change your mind and go get them? @moonhat there was a bus downtown at lunch that had cats and kittens in the windows! And if you were nice they would let you in to meet them, and you could see if the kittens might be right for you, just like David Byrne sang about in “Seen and Unseen”. @UncleVinny aww I think I found what you’re talking about, this? @moonhat exactly so! I kept asking the guy if I could borrow his keys “for a sec”, but he was way too sly for that old chestnut. A Snuggie, if it wasn’t all a scam. Care to explain how it’s a scam? @DVDBZN @hchavers I was going to ask how we feel about Slankets, but decided to find out myself. According to that guy, we should all be buying Freedom Blankets instead. Gass heat or a fire place. The best minor investment is thermal underwear. Gas heat is a great major investment, though! @aetris gas is just the cost of beans, and a fire place is just the cost of wood. Electric mattress pad. As warm as an electric blanket, but it stays where you put it. @hamjudo Electric mattress pad AND electric blanket. @hamjudo Yes I love those! wonnnnderfulness. How about “All of the Above” (tho I’d replace tea with hot chocolate)? And I got some new shearling UGGs (slippers, for the uninitiated) for Christmas. I collect and restore vintage space heaters, so…space heaters. Also the one kerosene heater I have is amazing. A bit thirsty, but absolutely cannot be beat for warming the entire living room! Do you ever have electrical/fire problems? @PooltoyWolf Yup, space heater. I have one in my bedroom. I turn it on a bit before bedtime and close the bedroom door. By the time I head to bed my room is a nice, toasty 75*. It easily maintains that temperature through the night. Granted, it’s in the mid-30’s outside, so it probably wouldn’t do quite as well in a colder climate, but it works great for me. @DVDBZN Nope, never! Space heaters get a lot of stigma as unsafe fire hazards, but they are actually very simple devices with few moving parts and failure points. Almost all heater fires are caused by negligence and improper usage. If you keep your heaters clean, maintain them properly, and don’t leave them running unattended, they are very safe. All I have is modern space, so a vintage space heater wouldn’t work for me. This is currently, by a mile, my favorite bit of trivia about any Meh forum personage. @UncleVinny Maybe I should get a photo or two up! @DVDBZN @PooltoyWolf @ruouttaurmind I have this really fun space heater just like this one that I love but my cheap hubby says it uses too much power or energy or whatever which is probably BS. @DVDBZN @moonhat @ruouttaurmind OMG that’s neat! I love heaters that imitate fireplaces, the more realistic the better. @DVDBZN @moonhat @PooltoyWolf @ruouttaurmind Oh, that is fun!! I dunno - crack a window? 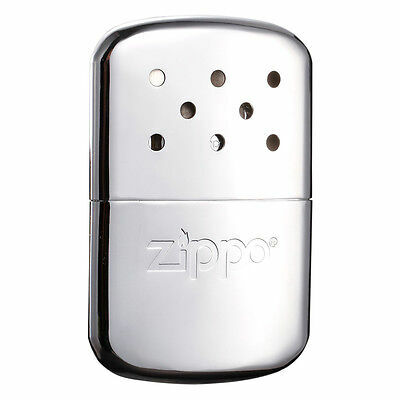 @AZnatural1 A little lighter fluid in my Zippo in the morning and it stays toasty all day. Bourbon! Duh. Really didn’t expect to be the first to say this, thought I’d be starting somebody else’s. @ELUNO or a llama. Of any gender! @CaptAmehrican Their hairs are hairy but too small to warm me up! my mom bought all the women in our family “the comfy” for christmas. i had never heard of this thing (apparently it is a shark tank product) and thought it was mostly kind of a gag gift…until i returned home and found that the radiator in our bedroom was stone cold and i put this thing on and…wow. i never wanted to take it off. i even slept in it that night. i have to say, for a gimmick, it’s amazing. i wear it all the time when it gets really cold. @jerk_nugget I have one, too. I set my thermostat to 50 F in the winter, and The Comfy and a pair of Baffin Bay Base Camp bootie slippers keep me nice and warm. Hey, Meh, sell The Comfy, wouldja? I could use a second one. @Chakolate @jerk_nugget that looks amazing! I could go for one, too. @jerk_nugget And I don’t even have a dryer, so I’d be without mine for a couple of days. @Chakolate yeah, unfortunately i have to rely on a laundromat so when i wash mine i don’t dry it all the way (the dryers there tend to run hot and i don’t want to fry it) so it still has to hang to dry, plus if it gets dirty it’s just kind of at the mercy of whenever i can get to the laundromat. boo, hiss. @jerk_nugget I’m such a slob I knew it’d get too dirty, so I wear it with a large t-shirt over it. It’s easy to wash a tee. Woobie. Military poncho liners. Magical wonderful warmie things that retain heat with very little weight.